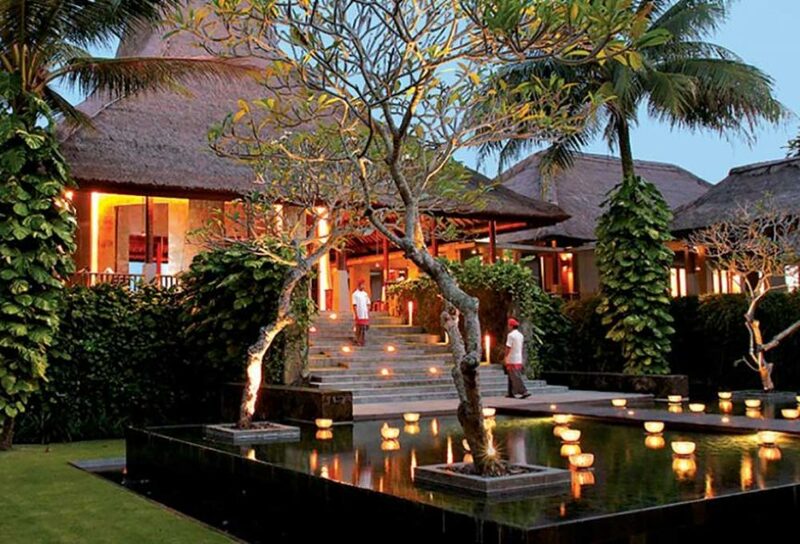 Located: In the heart of Bali, between the river valley and rice terraces of Ubud. A tranquil haven of tropical gardens and architect-designed thatched buildings set over ten lush hectares, Maya Ubud features private pool villas and luxury guestrooms. 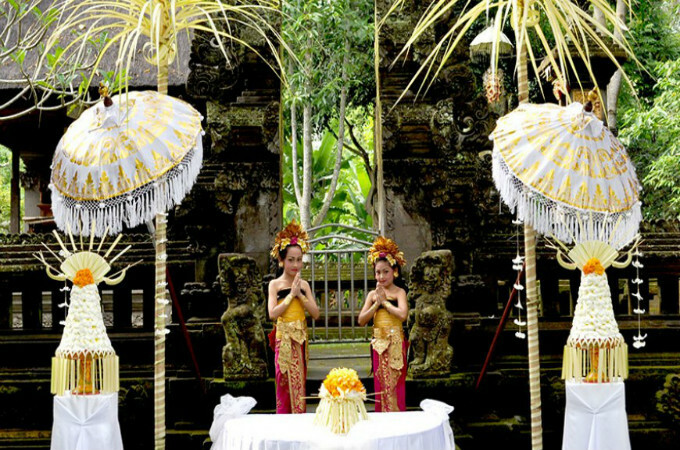 Maya Ubud works closely with one of Bali’s leading wedding planners, Bali Nirvana Wedding, to create your dream day. With 18 years in the industry and an emphasis on personal care and attention, Bali Nirvana Wedding will help ensure a stress-free experience. From initial emails to your arrival, rehearsal, the BIG day, and post-wedding services, you’ll appreciate their professional and personalised approach. Tranquil. Peaceful. Heaven. Magical. Romance. What are the main reasons couples choose this venue for a destination wedding? It’s as close as you can get to Mother Nature in Bali, with a stunning view that cannot be beaten. The executive chef at Maya Ubud will suggest and tailor a dining experience like no other. Magical moments are surely made here. Where’s your favourite spot at Maya Ubud for a gorgeous wedding photo? The scenic plaza. The temple garden is also strongly recommended. The infinity pools. The main pools are the resort’s hidden gems! The Deluxe Pool Villa. With the convenience of a private plunge pool, these villas all command beautiful views of the river valley or surrounding countryside. What’s one thing you get at Maya Ubud and nowhere else on the planet? A beautiful view of the river valley and also the natural green surroundings! International and local favourites, Indonesian, Japanese, Thai, Chinese and Indian specialties, as well as healthy cuisine. To elegantly serve ‘ginger ale’ for the guests while the bride and groom enjoy their Champagne, on the same dinner table! The rundown, they’re always asking what’s next?! 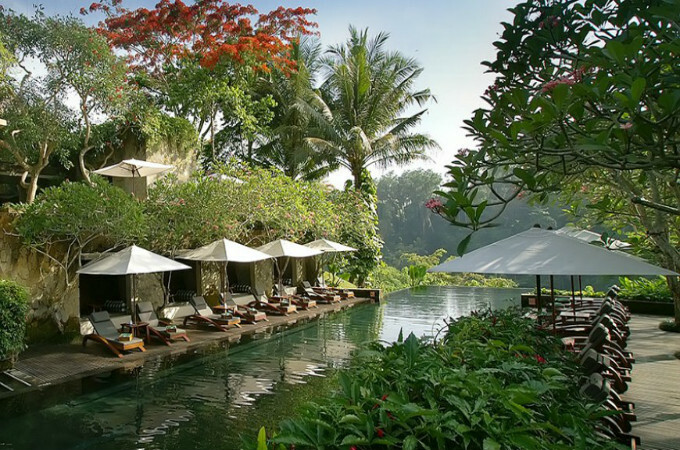 What’s the most glamorous/luxurious thing couples get to do at Maya Ubud? Enjoy the longest spa session followed by a romantic dinner with their very own personal waiter. Don’t let the little things stress you out, you’re in perfect hands. 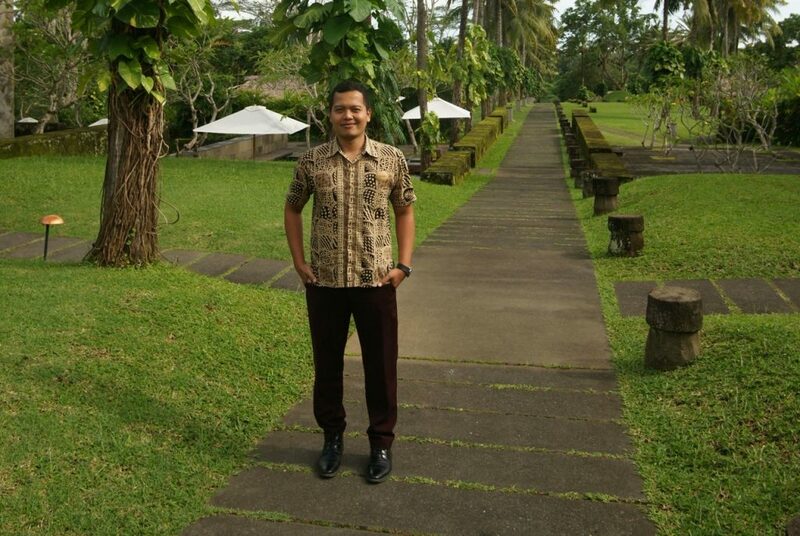 Your job is to embrace the moment and make lifetime memories here at Maya Ubud.